EBay Inc. acquired StumbleUpon Inc., a software startup that suggests Web sites based on reader reviews and personal preferences of its members. The $75 million cash acquisition gives eBay access to about 2.3 million people who have filled out profiles at StumbleUpon, founded in 2001 by three Canadian software engineers in Calgary. The venture capital-funded company, which recently relocated to San Francisco, is considered a pioneer of the so-called ''Web 3.0'' niche. StumbleUpon is free for users and generates revenue through advertising, though the company doesn't disclose financial information. Members who pay an annual fee bypass advertisements completely. StumbleUpons founders and managers will become eBay employees. 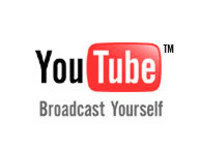 Real users can soon save YouTube Videos. RealNetworks said on Thursday the newest version of its digital music player would allow users to save Internet video - like those found on YouTube - for viewing at a later time. The digital media company, whose free software is one of the most popular applications for listening to audio and watching video on the Web, will let consumers grab the clips and also store them on DVDs starting in June. With RealPlayer, a "download this video" button will hover next to video seen on thousands of Web sites, RealNetworks said. Consumers can download multiple videos simultaneously, including videos in the Flash, Windows Media, and Quicktime formats. The new version of RealPlayer will also add some more fuel to the debate over the use of copyrighted programs, a topic that has certainly created a lot of legal flames in recent years. Real, which says that some 1.5 million copies of RealPlayer are downloaded daily, says that the program will not download programs prohibited by digital rights management software. "The technology we have enabled is for personal use, and that is within copyright laws," said RealNetworks General Manager . "But we honor any copy protection."